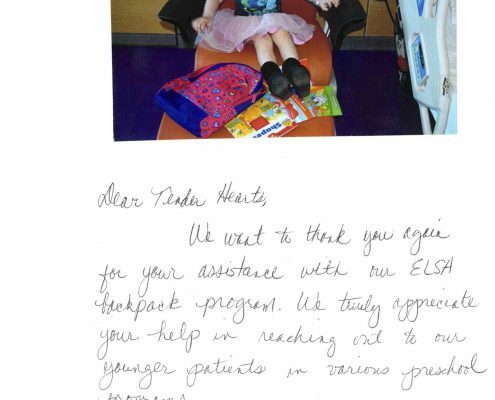 ELSA Program – Tender Hearts Inc. 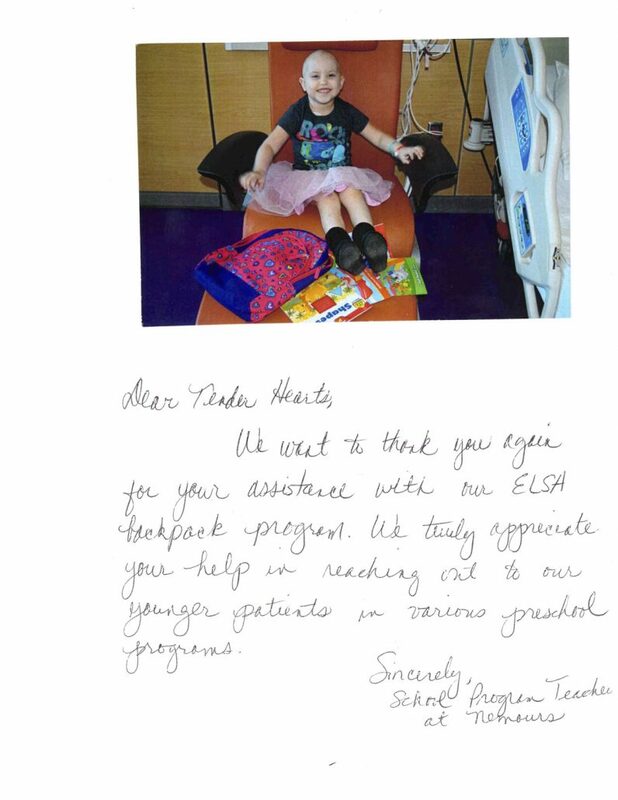 The ELSA program helps children continue to progress academically and relieves some of the stress of a lengthy hospital stay by providing a little bit of normalcy during hours the children would usually be in school. The program is available at the children’s bedside and for children who are able to, they offer a more classroom like setting in their 3rd floor rehabilitation classroom. 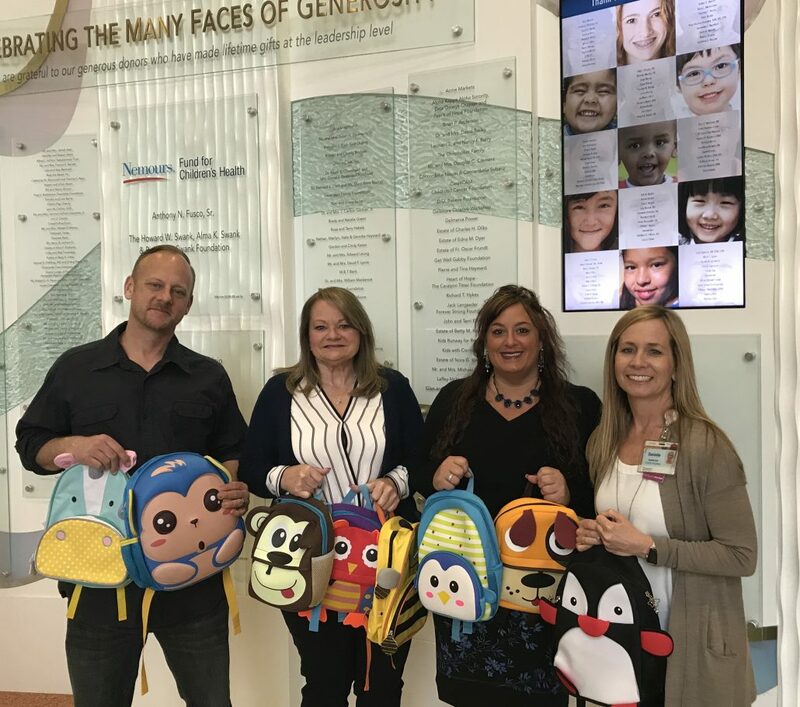 To support this program Tender Hearts, Inc. provides backpacks for each child as well as the workbooks and pencils needed. 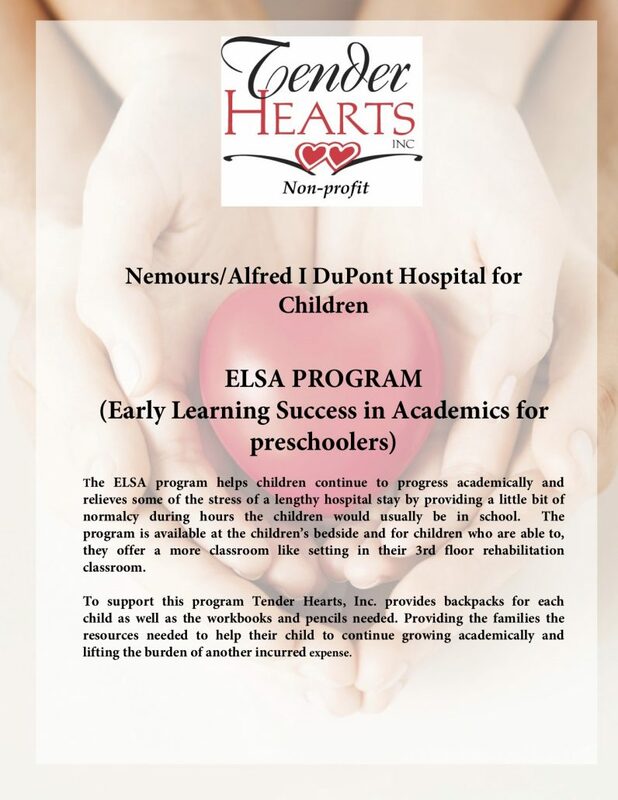 Providing the families the resources needed to help their child to continue growing academically and lifting the burden of another incurred expense. 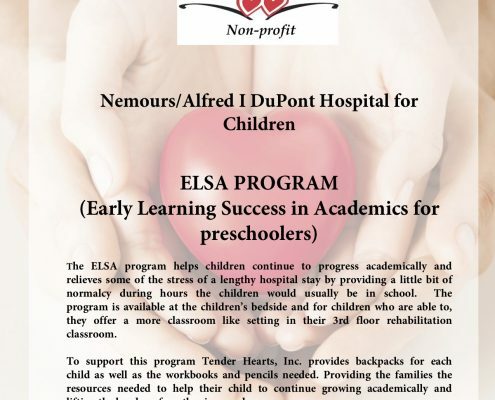 Another delivery by TH board members to Nemours Hospital for early years of continuing learning for the Elsa Program! Presented to the Child Life teacher that dedicates so much time in helping pre school children continue their education with in the hospital.